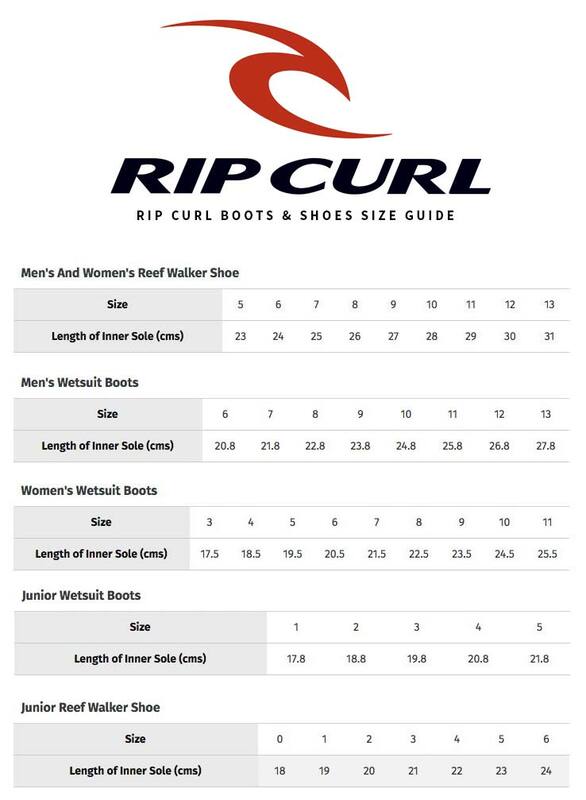 The Rip Curl Reef Walker Bootie is a water activity enabled shoe that provides great protection against sharps whilst remaining lightweight, in-turn making all your aqueous outdoor adventures fun, comfy and free of cut feet! Great for use in all wet domains. Featuring mesh water flow panels these quick-drying shoes are great for beach/reef walking. The rolled soles help protect your toes from stubbing and the heal/ankle tab makes the easy to put on. 1MM NEOPRENE: Thick enough for effective support but thick enough to keep you warm and cosy. VENTED MESH UPPER: Enables the shoe to breath which is crucial for walking along the beach/canyoning etc. RUBBER SOLE: Grippy and resistant to cuts & tears.